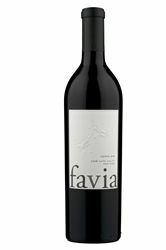 Favia Erickson Winegrowers is a collaboration between Annie Favia and Andy Erickson. Our philosophy is simple: create soulful wines that express the true nature of the vineyards from which they come. We focus on finding unique vineyard sites with soils, climate and aspects ideal for growing exquisite wine grapes, and develop strong relationships with our winegrowers to perfect viticultural practices. In the winery, we carefully coax the grapes into wine. Gentle handling, minimal intervention, and strict monitoring of the wine allow our grapes to speak for themselves. Ultimately, we unite science, art and nature to produce unparalleled wines, each with its own distinct character.